We look forward to helping you & your pet! 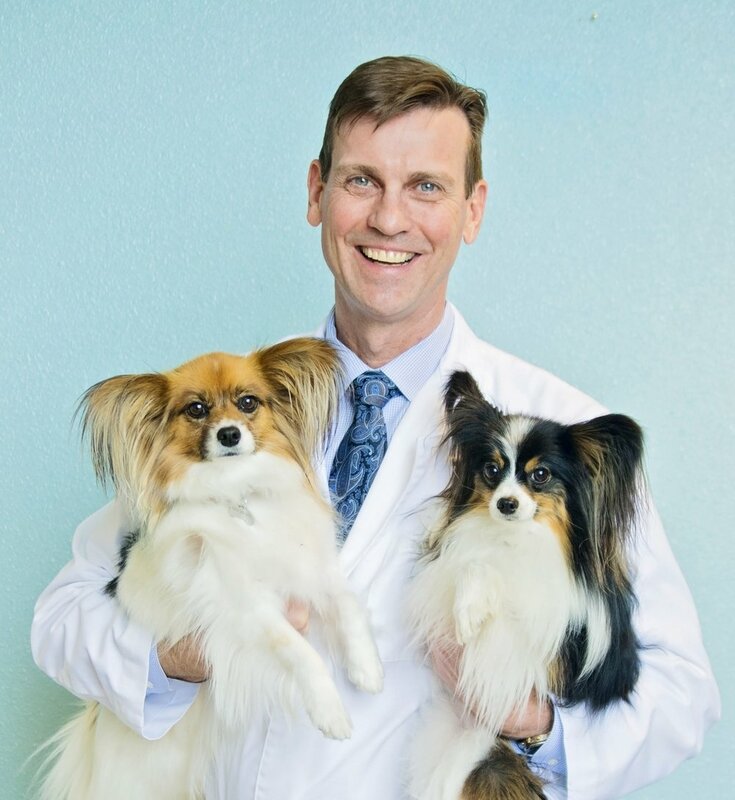 Dr. K believes that Communication is the Key-- he loves talking to pet owners and discussing their pet's health in clear and straightforward language. He tries hard to be the best veterinarian possible and is very dedicated to animals and pet owners of the Merced area. 2018 Alumni Achievement Award for UC Davis Veterinary School-- the highest award given by the School's Faculty. Distinguished Life Membership, California Veterinary Medical Association-- awarded May 2018, The CVMA's "Highest Membership Honor." awarded the honorary title of Distinguished Practitioner from the National Academies Practice. awarded the Distinguished Service Award from UC Davis Veterinary School and given the President's Award from the California Veterinary Medical Association. Author of Exam Room Communication for Veterinarians: The Science and Art of Conversing with Clients. Dr. K. is married to Kim and he has two sons: Patrick, an Attorney, and Aaron, who has a Masters Degree in Soil Science. Their family pets includes Josette & Colette (adorable Papillons), "Kitty GwayPaws" and numerous types of frogs. 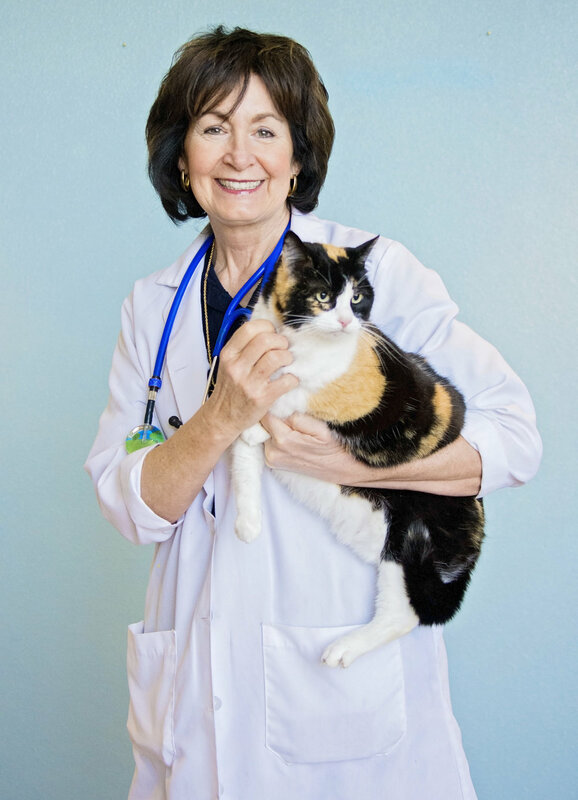 Dr. McFadden has lived in and served our community since graduating from the University of California, Davis, School of Veterinary Medicine in 1982. She opened Valley Animal Hospital in 1985 and in 1999 she built our current, state-of-the-art hospital to offer the best medicine and surgery possible for our patients. She cares for dogs, cats, birds, reptiles and all small “pocket pets” and exotics. She has cared for the Applegate Zoo animals for over 25 years. 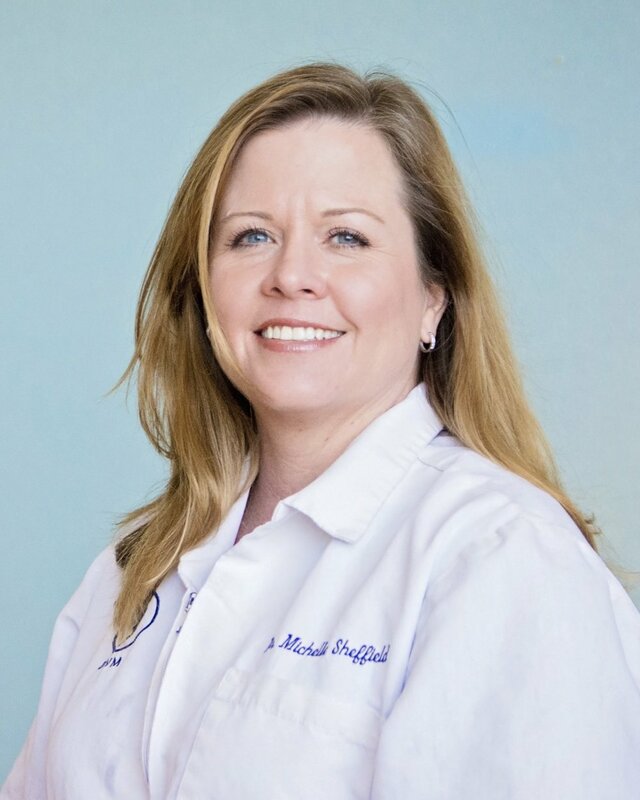 Dr. McFadden is involved in a local college scholarship program at the University of California, Merced through the non-profit charity, The MSSM Friendship Scholarship Foundation in memory of and to honor her four children Melanie, Stanley, Stuart and Michelle. Dr. McFadden is married and has twin daughters. Dr. McFadden is a newspaper columnist with the Merced Sun-Star (on Saturdays) and invites you to follow her blog, DrMc’s Veterinary Tales. Dr. Lauppe (pronounced “Loopy”) loves serving Merced, where he was born and raised. A Golden Valley High School graduate, he received his bachelor’s degree from Cal Poly, San Luis Obispo, and graduated from UC Davis School of Veterinary Medicine in 2013. Dr. Lauppe grew up taking his family’s pets to Valley Animal Hospital for care, and he is grateful to have the opportunity to continue the establishment’s legacy of compassionate and excellent veterinary care. Dr. Lauppe married his best friend Katie, a local attorney, in 2016. Together they have two lazy cats, Steve (the wise one) and Weezy (the princess, pictured), and a playful Doberman, Ace. Ace’s only wish is that the cats might someday acknowledge his existence! Dr. Lauppe is leading the effort at Valley Animal Hospital to become a certified “Cat Friendly Practice” and he is also active at the state level on various veterinary issues. Dr. Lauppe enjoys outdoor activities like hiking and camping, and he has run the Merced Half Marathon annually since its beginning in 2014. He and Katie are highly competitive when it comes to golf and Trivial Pursuit! Kelly has been a member of the VAH family in 2010. She earned a Bachelor of Science degree in Animal Science from CSU-Fresno with a GPA of 3.8! Kelly has worked in nearly every capacity at VAH (Veterinary Assistant, Reception and Lodging), and has also worked with large animal veterinarians as a veterinary assistant. Kelly has trained dogs (and their owners) as well as raised Guide Dogs for the Blind. She became Practice Manager in June, 2018. Jillian has been a part of our team since 2006. She enjoys helping clients care for their pets by dispensing medication and lots of love. She also works with clients to find affordable care plans for their pets (compiling estimates, Care Credit, Payment Banc). Outside of work, Jillian enjoys spending time with her family, friends, and her pets: Macchiato, a Cane Corso; Coco, a little Terrier; and Gemma, a terror of a Tabby cat! She has been Coordinator of the Valley Animal Hospital Relay for Life team for several years, raising thousands of dollars each time for human cancer patients and cancer research! Interesting facts about Jillian is that she is a lefty, and lives a gluten-free lifestyle. 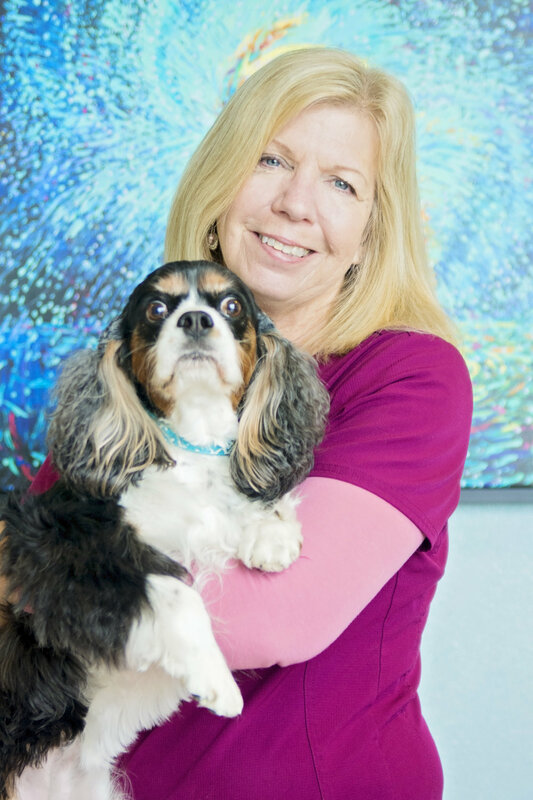 Liz joined the practice back before the first Ice Age, earned her Registered Veterinary Technician's certificate and has been providing excellent Nurse and Surgery care for many years. things about her life right now is being a grandma! Daniel has lived in the central valley for most of his life with a few breaks spent living in Monterey, Santa Monica and Long Beach. Daniel started his veterinary career in 2007 at a dog kennel in Modesto. He instantly fell in love with working with animals. In 2011, Daniel enrolled in the Veterinary Technician program at Carrington College in Stockton and became an RVT in 2013. When he’s not at work, he enjoys many activities, including just having fun with friends and family. At home, he has a chihuahua named Maddie, two cats (Dallas and Leo), two rats (Penelope and Ella) and has recently added four chickens into the mix. Briana has been a receptionist at our hospital since June of 2014 She is currently a student at Merced Junior College. As a receptionist, she loves being around animals. Although we don’’t see them here at Valley Animal Hospital, monkeys are her favorite animal. She shares her home with her fur babies: Lacy, a boxer; and Gengi, a pug. In her spare time, she loves hiking, playing soccer, reading, and singing. Sabrina joined the Valley Animal Hospital team in April of 2014. She loves that her position allows her to meet new people and help them with their pets’ needs. She also loves working with animals. Sabrina is married, and has three daughters. She is also a proud “pet mom” of two dogs, and two cats. When she’s not caring for pets at work, she enjoys spending time with her family. Victoria joined VAH July 2017. She has a background in banking and medical assisting. She loves working in customer service as well as meeting new people and their pets. She has two kids, Daniel and Alannah, one lazy dog named Panda and a chubby guinea pig named Gus Gus. She's a year-round Sports Mom/Coach, who also plays softball throughout the year. enjoys making music, cooking, and growing vegetables in her garden. 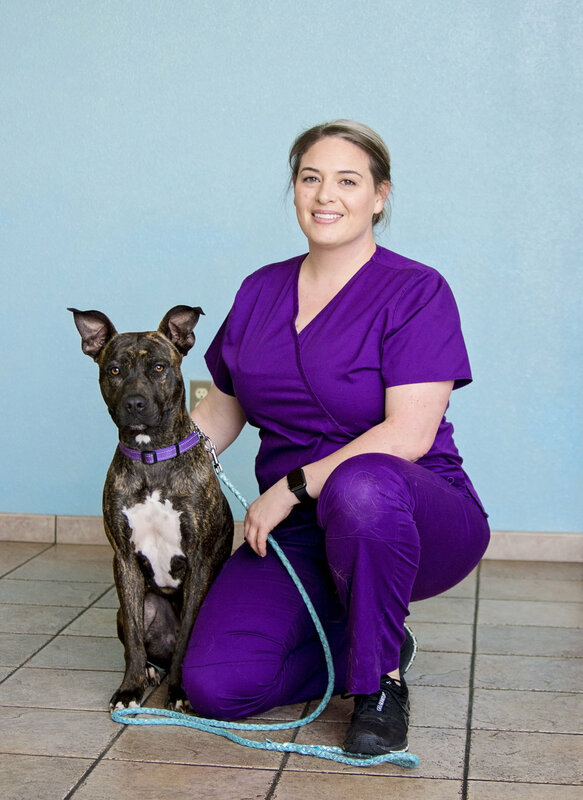 Sarina joined the Valley Animal Hospital team March of 2018. She's had a love for animals ever since she was a little girl, she even has One furbaby of her own named Cash. In her free time she loves spending time with family and loves to bake (she's really good at it!) Sarina's favorite part about coming to work everyday is finding ways to help clients with their beloved pets! Megan re-joined VAH in 2018 after working with us for a while and then starting a family. Melody Joined VAH in December 2018. She loves working in customer service and meeting new and returning customers every day. As a little girl she has always loved being around animals, Especially cats. When she’s not at work, Melody is spending as much time as she can with her Son Carter and Husband Nathan, she also enjoys cooking, baking and arts and crafts. She is also a mommy to three dogs and five crazy cats. Courteney has been a member of the Valley Animal Hospital team since June of 2015. She started out as a receptionist and then became an exam room nurse, and currently works as our dental technician/exam room nurse. Dentals have become her favorite part of the job! In her free time, Courteney enjoys camping, hiking, and spending time with her own pets. One of Courteney’s most interesting experiences with animals was being a volunteer at the Monterey Bay Aquarium working with the penguins! Yesenia is a full time student at CSU Fresno and a part time Exam Room Nurse. She is also bilingual! Melissa ("Mel") joined our team in 2016. Mel loves all animals, she has a farm of her own with dogs, cats, cows, and goats. She loves working here at VAH and also at home where her family farms almonds. Shes been working with animals since high school, taking veterinary classes all 4 years then continued onto MJC for the vet tech program and also dairy science. Mel loves helping save animals 😊 big and small. Mel loves how rewarding her job is here at VAH. Brandy became a member of the VAH team December of 2016. Brandy started out as a lodging attendant and quickly became an exam room nurse. Brandy has lots of experience with cats and dogs. She has worked closely with local animal rescues, helping pets in need. Brandy’s favorite part of her job is helping the animals (and dispensing love). Brandy loves board games, roller coasters, and you guessed it, her pets! Interesting fact, She knows sign language! Savannah just finished school at Modesto Junior College and has certifications in both large and small animals. She is one of our exam room nurses and is eager to keep learning and become a registered veterinary technician in the near future. Savannah grew up on a ranch where her love for animals started at a young age. She was a part of 4-H and FFA for many years and always knew that this is the career path she would take. A small town girl from Sioux City, IA. She moved to California and got married in 2016. She found the job at Valley Animal Hospital in October of 2017. She also has a license in Cosmetology, but the animals have taken over her heart and life. She is a dog mom of three. She aspires to become a vet technician in the future. Brian joined our team as a lodging attendant in June of 2017. He has enjoyed getting to know the staff and all the animals that stay with us. In his free time he enjoys basketball, music, watching movies and rock climbing. He loves his boxer named Bella and has been a vegan for over 2 years. He is now working full time as a Veterinary Assistant. 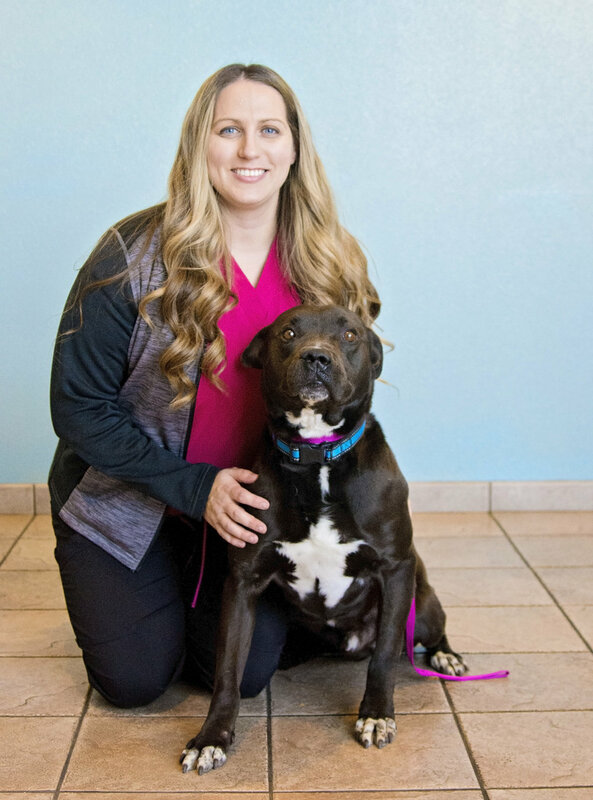 Cheyenne started with Valley Animal Hospital in 2016. She also has her own Photography business has taken many of the staff photos for the website-- her photography studio is called 'Sky's the Limit' and she did most of the professional photography on this website. Contact her at skysthelimitphoto@att.net! Gina has been a valued member of the VAH team since early 2016. Mryna is a full time student at UC Merced and has been working part time as a lodging attendant since August 2017. She hopes to attend veterinary school after her undergraduate studies are completed and accomplish her dream of helping animals. Mryna is bilingual and has 2 cats and a 9 year old Min Pin. Reyna is a full-time UC Merced student that started working in Lodging since June of 2018. She has always enjoyed volunteering for animal shelters and continues to be involved through her organizations at school. She absolutely adores the two newest additions in her life, Aglet and Orion, guinea pigs that popcorn like crazy for hay. In the future Reyna hopes to graduate vet school and become a veterinarian. I joined the VAH team in June of 2018. I love helping animals of all shapes and sizes. I enjoy spending my free time educating the public about exotic pets at reptile shows and herping (finding local reptiles and amphibians while hiking). My pets include a cat named Asti, a leopard gecko named Monster, a ball python named Dry Bones, and a pixie frog named Genie.